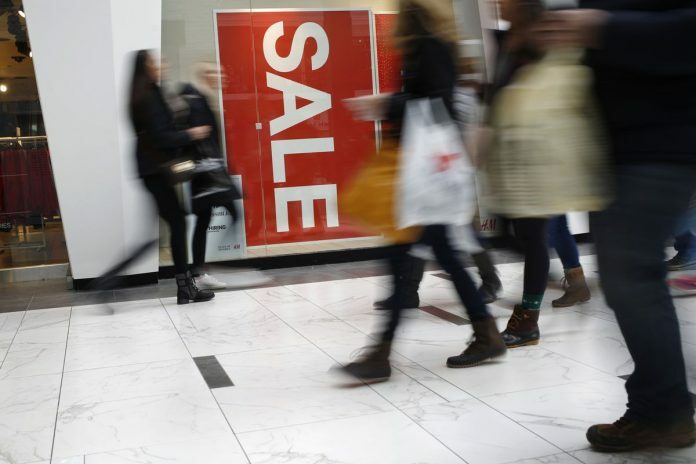 NEW YORK – United States consumer sentiment fell in April for the first time in three months, missing estimates, as the long-term economic outlook dropped to the lowest in more than a year and enthusiasm over tax cuts waned. The University of Michigan’s preliminary sentiment index decreased to 96.9 from the prior month’s 98.4, according to a report Friday. The median estimate of economists surveyed by Bloomberg was 98.2. The gauge of current conditions rose to a four-month high of 114.2, while the expectations gauge fell to 85.8. The decline in sentiment reflected a weakening outlook for the economy, with a gauge of views for five years out falling to the lowest level since January 2018. At the same time, the broader index remained elevated, as plentiful jobs, higher stock prices and the Federal Reserve’s hesitation to raise interest rates continue to support consumer attitudes. Consumers anticipate slower gains in prices. Inflation expectations for the year ahead fell to 2.4 percent, while the rate seen over the next five to 10 years decreased to 2.3 percent, matching a half-century low. Fed policy makers closely monitor the inflation results in this survey. Amid reports that tax refunds have declined from last year, the Michigan data suggested consumers saw the stimulus from tax cuts as having “run its course,” as spontaneous favorable references to the policy plummeted since early last year. Yet Americans remain sanguine about their personal finances, with an index of prospects for the year ahead at the best level since 2004. A measure of buying conditions for household durable goods rose to a four-month high, though more consumers judged vehicle and home prices unfavorably. As the Fed pledges patience on borrowing costs, 55 percent of respondents expected interest rates to increase, the smallest share since mid-2016. Interviews for the preliminary report were conducted March 27 to April 10. The month’s final estimate of sentiment, which includes more interviews, will be released April 26.